I wanted to highlight some heroes from our Allies during World War II. In the Soviet history of the Great Patriotic War (Eastern Front of the Second World War), there were outstanding people whose heroism caused great fear among the Nazis. Here are five heroes who contributed to the overall victory and whose exploits almost went beyond human capabilities. 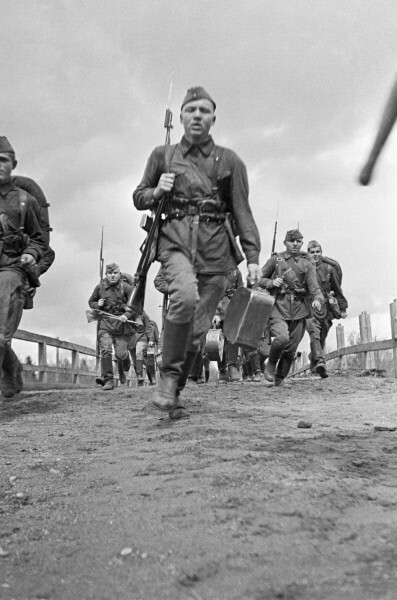 Red Army soldier Ivan Sereda was called to the front in June 1941 at the age of 22. Before the war, he had graduated from the food technical school, so he was sent to the front as a cook in the field kitchen. Sereda repeatedly asked to be sent onto the battlefield, but his request was refused due to the lack of good cooks. In August 1941, his regiment was located near the city of Dvinsk (now Daugavpils, Latvia). Most of the soldiers were on the front line, except Sereda who had remained in the field kitchen and was preparing dinner. He saw two German tanks, one of which was moving in his direction. Sereda quickly took the horses to the forest and took refuge behind the kitchen. The only weapon he had was an old rifle and an ax. The German tank drove up to the kitchen and stopped. German soldiers began to get out of it. Ivan ran out of his shelter, swinging his ax, and headed straight for the tank. 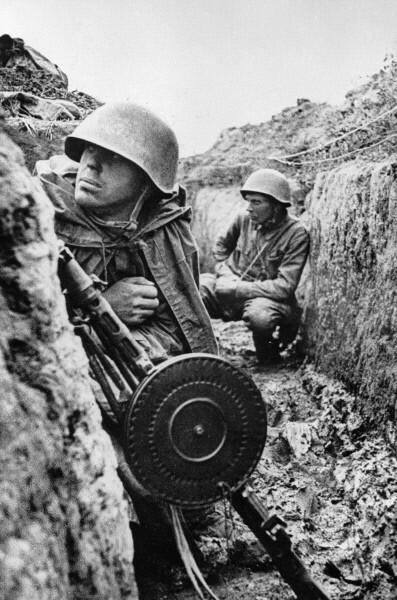 The Germans immediately began firing a machine gun, but Sereda was already on the tower of the tank, bending the barrel of the gun with an ax. He closed the tank’s viewing slots with a cloth and ordered his comrades, who were not actually around, to hit the tank with grenades. The frightened Germans surrendered, and Sereda forced them to tie each other up. When the Soviet soldiers returned, they were surprised to find a tank and four German tankers waiting for them, while their cook continued about his work. 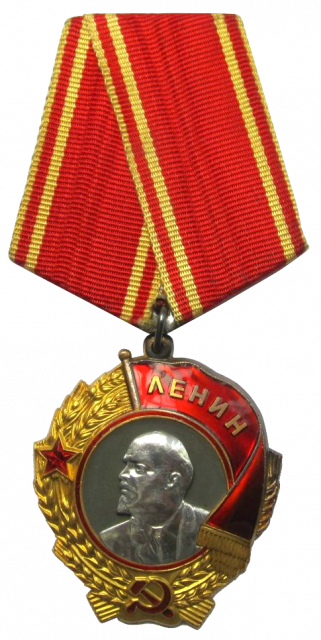 Ivan Sereda was awarded the title of Hero of the Soviet Union and the Order of Lenin. 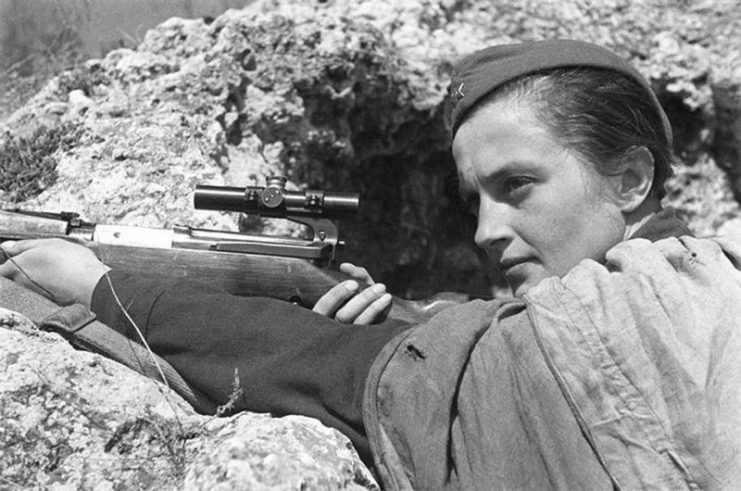 Lyudmila Pavlichenko is considered the most successful female sniper in history who killed 309 enemy soldiers and officers. American journalists nicknamed her “Lady Death,” but in the Soviet Union, she was considered a hero, not a murderer. 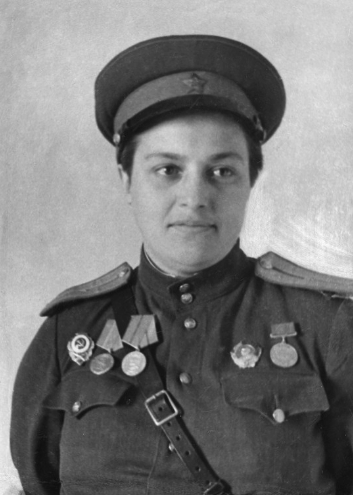 From the first days of the war, Lyudmila Pavlyuchenko volunteered for the front, even though she was in her fourth year of university studies. At university, she had taken sniper-training courses. During the first months of the war, Pavlichenko killed 179 Romanian and German soldiers and officers. 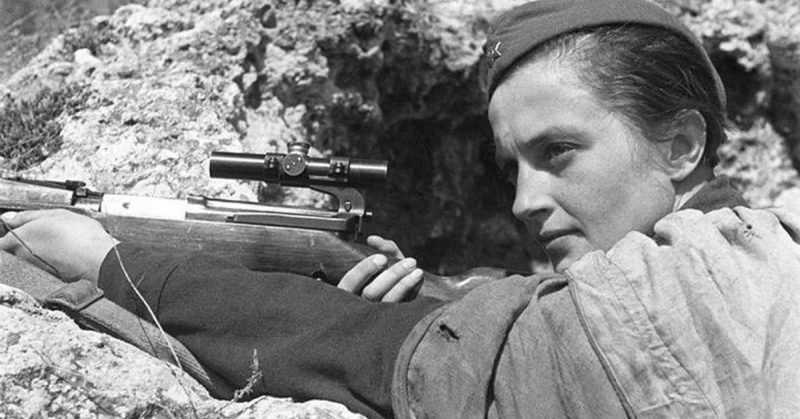 By June 1942, she had 309 confirmed enemy assassinations, including 36 snipers. She also trained many snipers. In June 1942, Pavlyuchenko was seriously injured and was evacuated to the Caucasus. 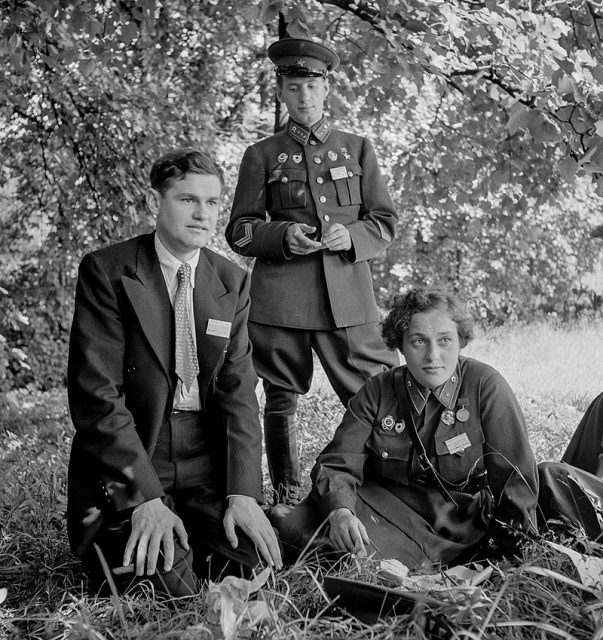 After recovering, she was sent to Canada and the USA together with a delegation of Soviet youth for propaganda purposes. 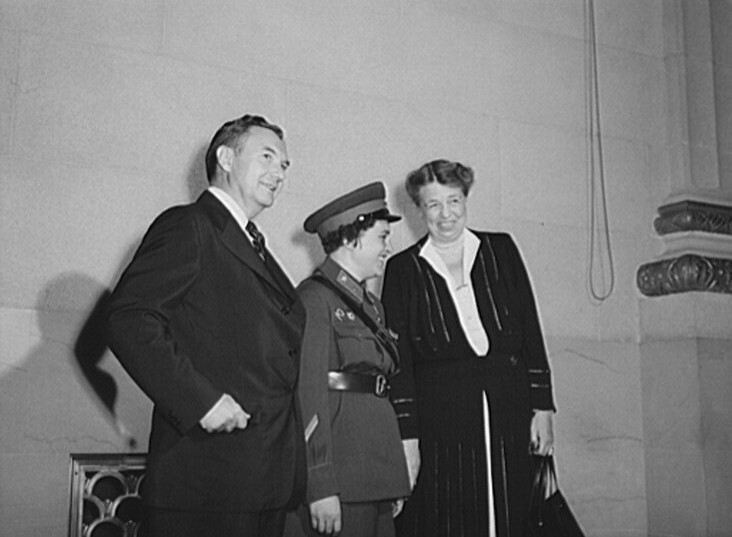 While in America, Pavlichenko visited President Roosevelt, after which, thanks to First Lady Eleanor Roosevelt, she set off on a short trip around the country. In Canada, Pavlichenko was presented with a Winchester rifle. In America, she received a Colt pistol. American singer-songwriter Woody Guthrie dedicated the song Miss Pavlichenko to her. Zinoviy Kolobanov took part in the Finnish war of 1939-1940. By the beginning of World War II, he was an experienced commander and tank man. In 1941, Kolobanov took command of a tank unit during the German offensive at the city of Leningrad. He was faced with the task of delaying the advance of German military equipment to a spot close to the village of Voskovitsy near the city of Krasnogvardeysk (now Gatchina). 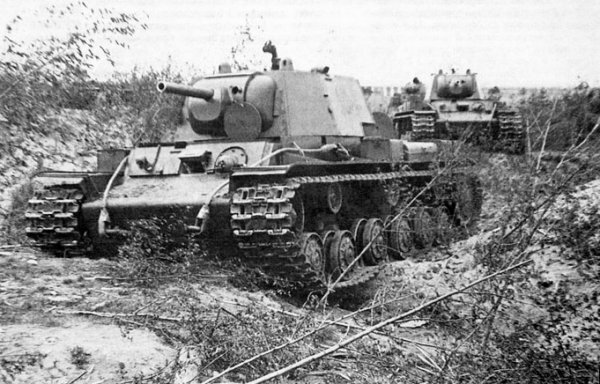 Kolobanov had five KV-1 heavy tanks at the disposal. 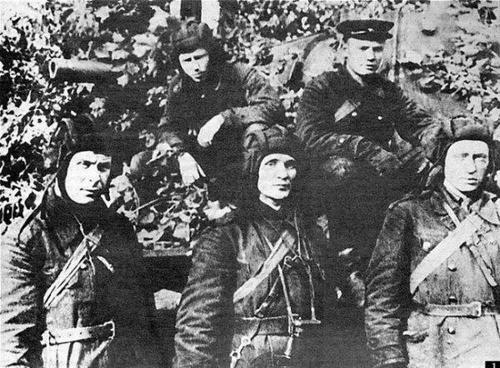 Zinoviy Kolobanov (in the center) and his Tank Crew. 1941.Zinoviy G. Kolobanov (Зиновий Г. Колобанов) (died 1995) was a tank commander and veteran of the Great Patriotic War. He commanded a KV-1 tank and is frequently considered the second top scoring tanker ace of the Soviet Union. To gain an advantage over the superior forces of the enemy, he placed two tanks in two different parts of the city. In the meantime, he put another tank on a coastal road in a position which allowed it to cover two directions at once. On either side of the road, there was a swampy meadow, making it difficult for the German armored vehicles to maneuver. Kolobanov managed to hide his tank well. When the German light tanks appeared (presumably Pz.Kpfw.35 (t)), Kolobanov ordered his tank to open fire. The first shots hit the three leading tanks, which stopped, blocking the way for the other vehicles. Then the Soviet tank opened fire on the last tank, thereby blocking the entire convoy into a narrow road surrounded by a swamp. Such accurate hits were due to Andrey Usov, an experienced gunner, who went through two wars and served as an assistant platoon commander. 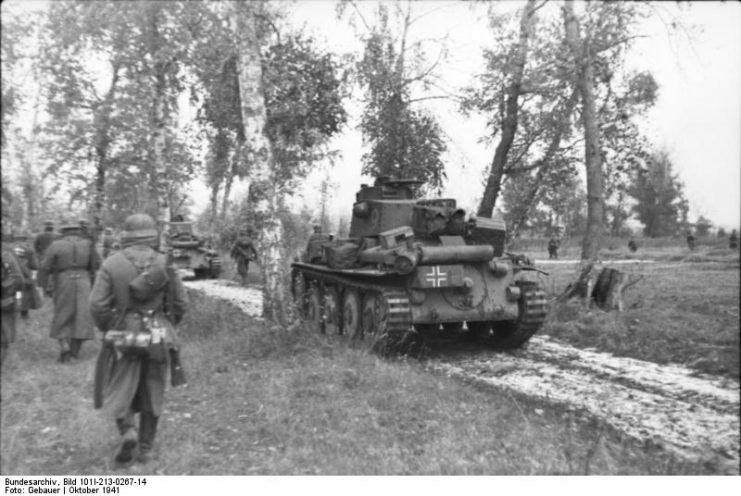 Some of the German tanks became stuck in the swamp, but they all put up serious resistance. 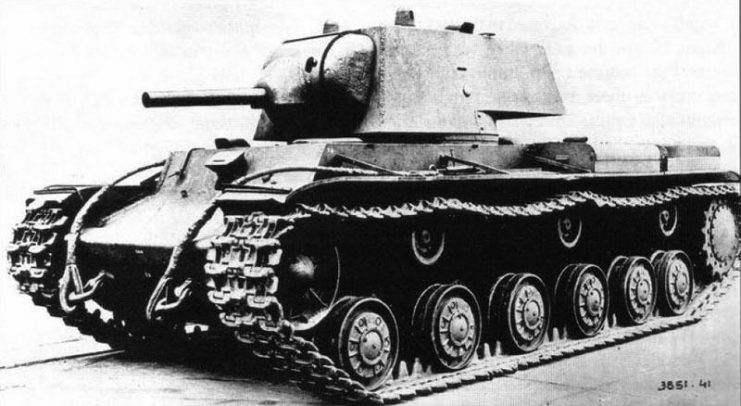 However, the KV-1 tanks were impenetrable to German guns. 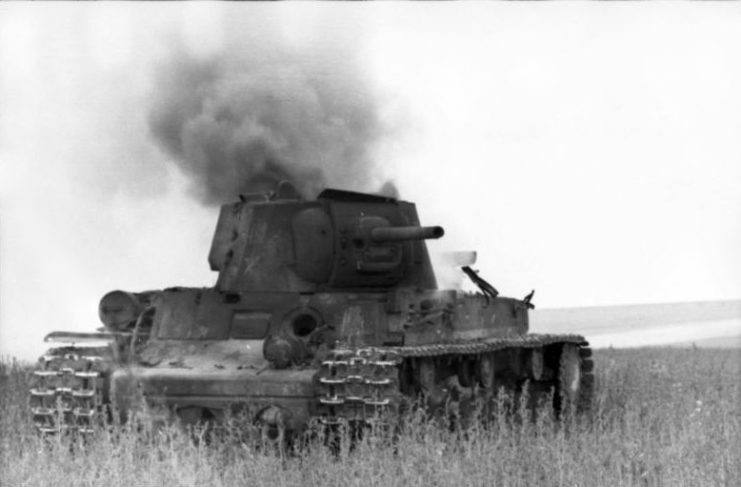 After the battle, there were more than 100 marks from German shells on the hull of Kolobanov’s tank. During this battle, the entire squad managed to destroy 48 enemy tanks, and Zinoviy Kolobanov was responsible for 22 of these. 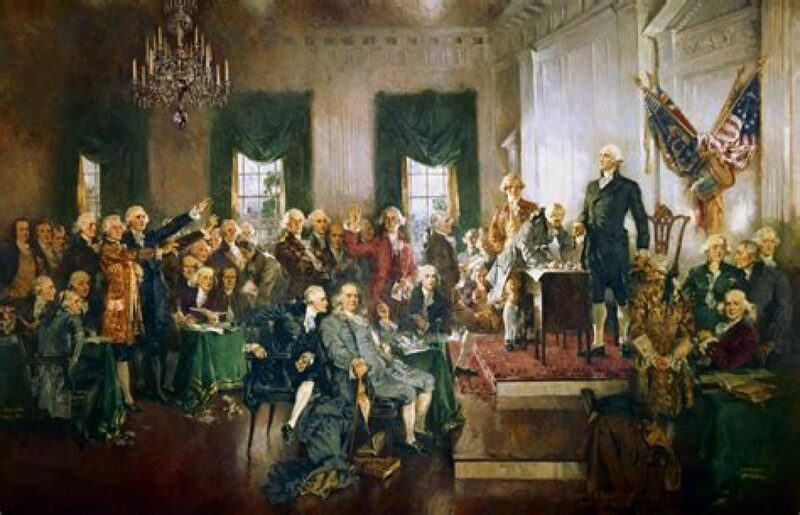 However, this amazing feat was never appreciated, and many historians often argue about what actually happened. Dmitry Ovcharenko from the Luhansk region did not have a passion for education but, due to good health, he was called up as a machine gunner to the front when the war began. However, in the first days of the war, Ovcharenko was wounded and transferred to become a rider for supplying troops with ammunition and food. On July 13, 1941, during the delivery of goods to his company, Ovcharenko was suddenly taken by surprise by a detachment of enemy soldiers and three officers, totaling 50 people. The Germans took away his rifle, and one of the officers began to interrogate him. However, Ovcharenko unexpectedly grabbed an ax from his wagon and beheaded a German officer. Hero of the Soviet Union Dmitry Ovcharenko. Then he threw three grenades at the enemy, killing 21 people. Those remaining began to scatter in different directions. Ovcharenko caught up with the second officer and decapitated him. As proof of what he had achieved, he collected all the documents of the murdered Germans and, together with his cargo, returned to the company. 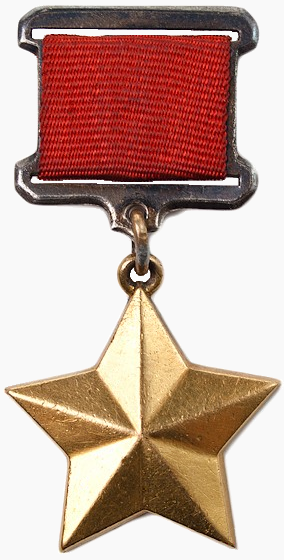 Soon, Ovcharenko was awarded the medal of the Hero of the Soviet Union. He returned to his machine-gun unit and was killed in Hungary in early 1945. At the beginning of the war, he was over 40 years old. He served as an orderly since he did not know a lot of Russian and so did not understand all the orders. In the fall of 1941, Nomokonov was carrying wounded soldiers from the battlefield when he noticed that a German soldier was aiming at him. He did not lose his head but grabbed the nearest rifle and fired at the German almost without taking aim. This impressed the commanders, and they decided to enlist him in a sniper platoon. Soviet sniper credited 367 kills, Semyon Nomokonov. During the war, Nomokonov killed 360 German soldiers, including one major general. 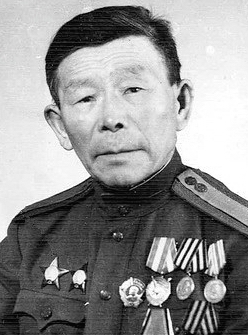 During the Soviet-Japanese War, he added to his death list another eight soldiers of the Kwantung Army. 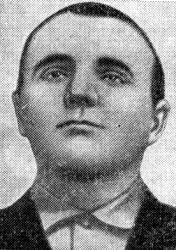 Nomokonov used a three-line Mosin rifle, which he initially used without an optical sight. On his feet, Nomokonov had shoes made from horsehair, which meant his steps were practically noiseless. He also used mirrors, strings, and spare helmets to distract the enemy and determine the location of the quarry. During the war, he was wounded eight times and received two contusions. In order to keep track of those killed, Nomokonov made cuts on his pipe, which he often took with him.